The ProtoPlace S is a semi-automatic pick & place system for professional assembling of SMT printed circuit board prototypes and small batches. It allows a much quicker assembly of SMT printed circuit boards than before. The user can control each step of the working process with an LCD-display. Most of the functions can be executed from an interface panel with four direction arrows. 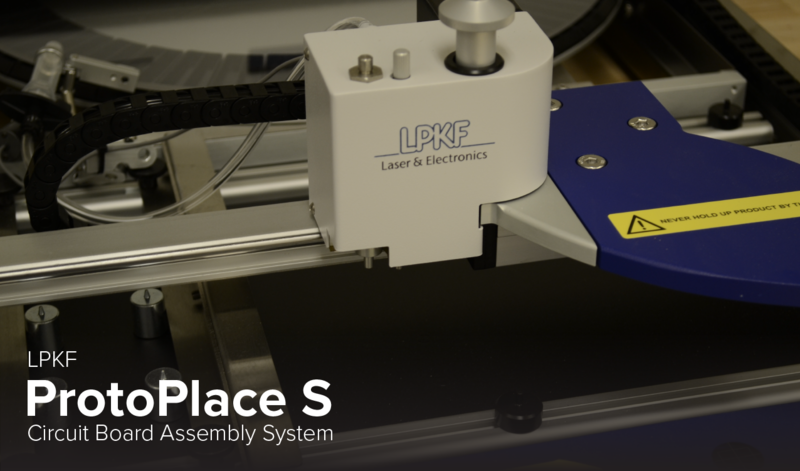 The LPKF ProtoPlace S allows the precise assembling of complex circuits. The camera system with LCD-display ensures easy and accurate control of the positioning of the components.